I can't resist visiting castles and my trip to Llanberis didn't disappoint me. 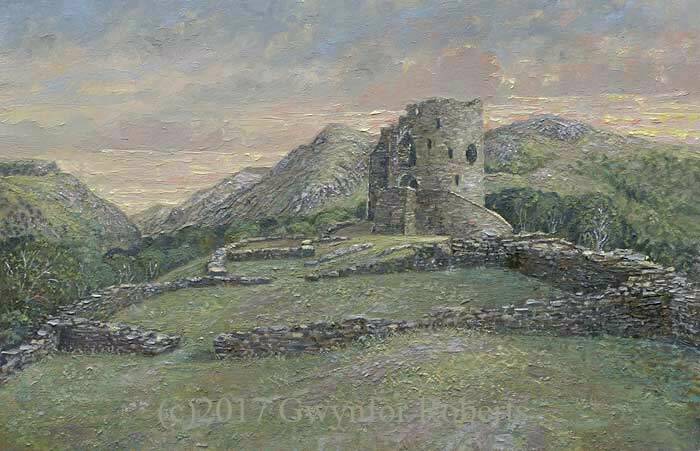 This oil painting - 12 x 18 inches - captures the ruins of Dolbadarn Castle with its keep still standing and The Snowdonia mountain range provides the perfect backdrop. When there, I noted there wasn't a lot of people in the castle grounds and I wondered if the tourists at the Snowdon mountain railway - just two minutes walk away - realised this gem was so close.